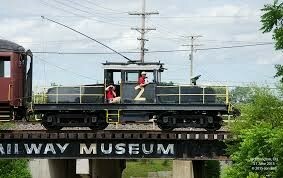 ﻿ The Ohio Railway Museum - Ohio. Find It Here. 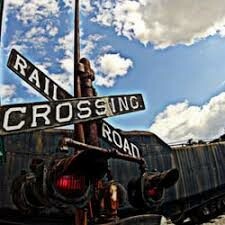 Founded in 1948, The Ohio Railway Museum is one of the oldest railroad museums in America. 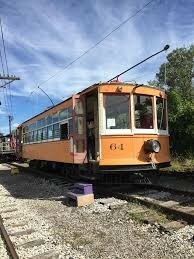 The museum began with the acquisition of Ohio Public Service Interurban Car #21, which is now listed on the National Register of Historic Places. 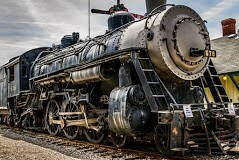 The museum is designed to educate through displays and demonstrations, the role and effect of the railroads in the life of the people and businesses of Ohio and the United States. The Ohio Railway Museum now operates on the former Columbus, Delaware and Marion railbed and right-of-way. The museum's collection includes a the last CD&M interurban parlor car #501, nicknamed "The Red Bird." Until the late 1970's the museum also operated the Norfolk & Western #578 Pacific-class steam locomotive. Today, we offer a glimpse of railroading's past through our exhibits, static equipment displays of electric traction and steam. We also offer rides on both our streetcars and our Pullman passenger car. Come visit us and explore a century of rail evolution!